The very name Odin taken by Sony for its new Xperia suggests that they may just be the next rulers of the market , toppling the likes of Apple or even Samsung ! This will be running the new version of Jelly Bean, mostly the Android 4.1. It will have a 5 inch 1920 * 1080 HD display and a quad core 1.5GHz Snapdragon S4 Pro processor, 2 GB RAM and 32 GB of native storage. It will have the best of Sony’s features and applications. Now the Xperia Z is also sporting the same features. 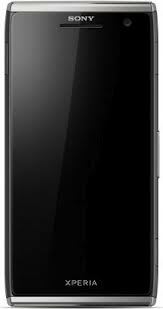 So the only possibility is that instead of calling it the Z thing which is usually for something mysterious or at the fag end, the name will be Odin or the Xperia C650. The Odin will be announced in the CES or may be a month later during the Mobile World Congress. Now, Sony’s Odin will have to compete with some of the biggest fish in the sea like the iphone5, nexus 4, note 2. The question is if Odin will be able to stand against these ? Guess, that would depend hugely on the phone itself, if people are going to like it. The exact specifications and USP of this phone have been successfully kept under wraps so it will be very difficult to access now. 0 Respones to "Sony Xperia X – C650 (ODIN)"